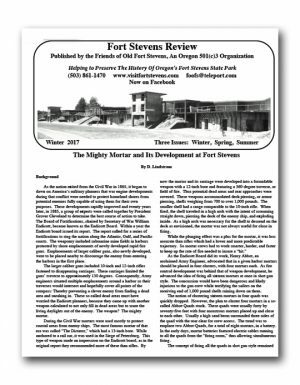 Fort Stevens Review is published by the Friends of Old Fort Stevens, an Oregon 501(c)3 Organization, helping to preserve the history Of Oregon’s Fort Stevens State Park. 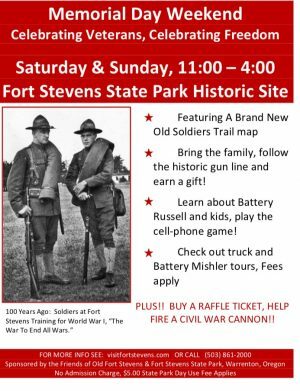 Day after day visitors walk by Battery Pratt, situated in the middle of the gun line at Fort Stevens State Park. 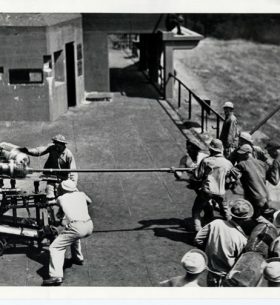 Battery Pratt emplaced two 6-inch rifles on disappearing carriages and was active between 1900 and 1943. 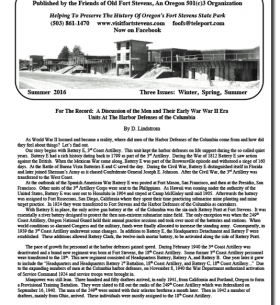 The battery’s most notable event occurred…. 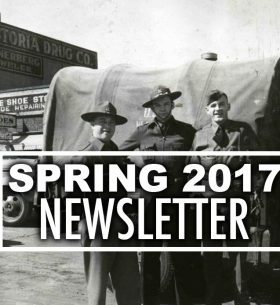 Select here to download our Spring 2017 Newsletter! 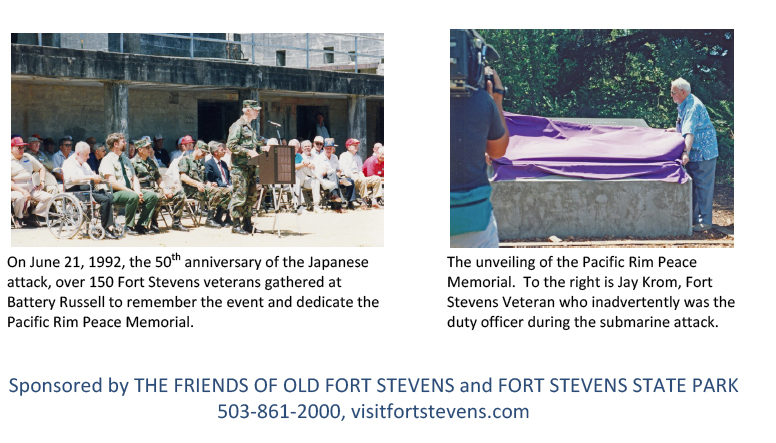 Wednesday, June 21 – On the date of the attack, an interpreter will be at Battery Russell and the Pacific Rim Peace Memorial with displays and information about the event. 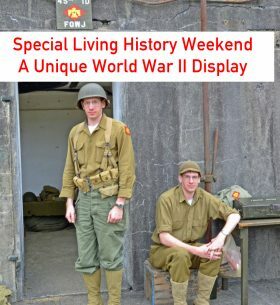 Noon until 4:00 PM. Great Adventures!! Great Museum and Visitors Center! Great Gift Shop! 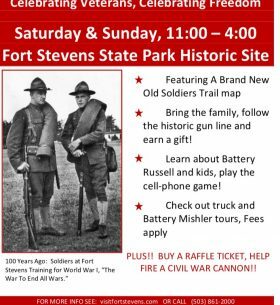 Walk through the only enclosed Civil War era earthworks on the West Coast! Maps for self-guided tours are always available. 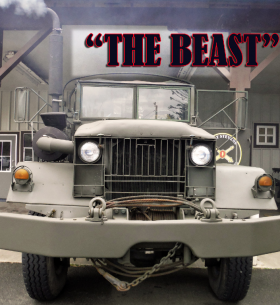 CALL (503) 861-2000. Email foofs@teleport.com. 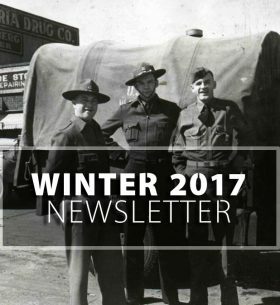 Select here to download our 2017 Winter Newsletter. 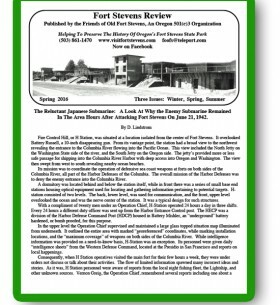 Fort Stevens Review is published by the Friends of Old Fort Stevens, an Oregon 501(c)3 Organization, helping to preserve the history Of Oregon’s Fort Stevens State Park. 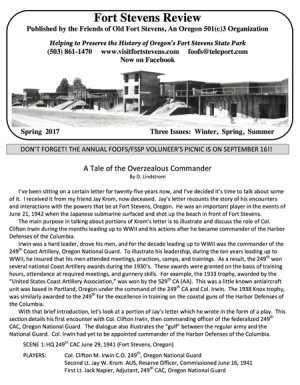 Select here to download the full Summer 2016 newsletter. 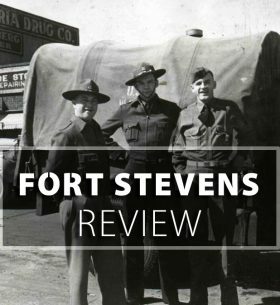 As World War II loomed and became a reality, where did men of the Harbor Defenses of the Columbia come from and how did they feel about things? Let’s find out. 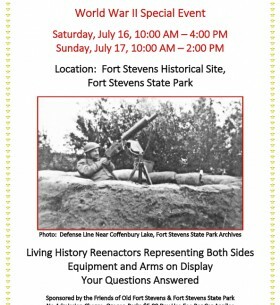 Location: Fort Stevens Historical Site, Fort Stevens State Park. 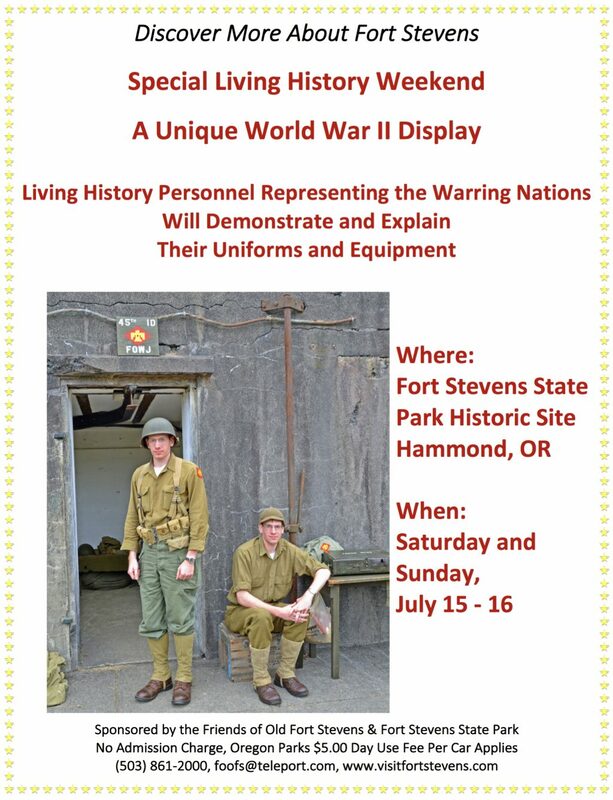 Living History, Reenactors Representing Both Sides, Equipment and Arms on Display. Your Questions Answered.